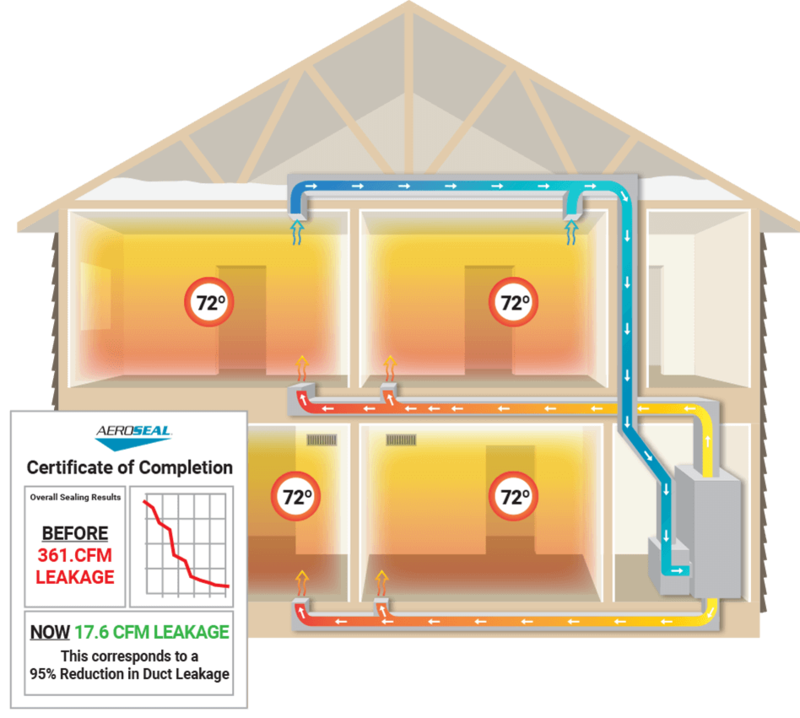 Aeroseal: What is Duct Leakage and How Can I Stop It? Cracks and holes in your home’s air vents and duct system allow heated and cooled air to escape before reaching your rooms. Leaving you with stuffy, uncomfortable rooms and wasted energy. This leakage is a significant and often overlooked problem in homes. The investment you make in your home is even more significant. Why not get the most out of your investment with a comfortable home? Just look at all that air escaping. Do you really want to pay for all of that wasted air? Our innovative service makes it easy. Aeroseal automatically finds and seals all the leaks throughout your entire duct system with precision. 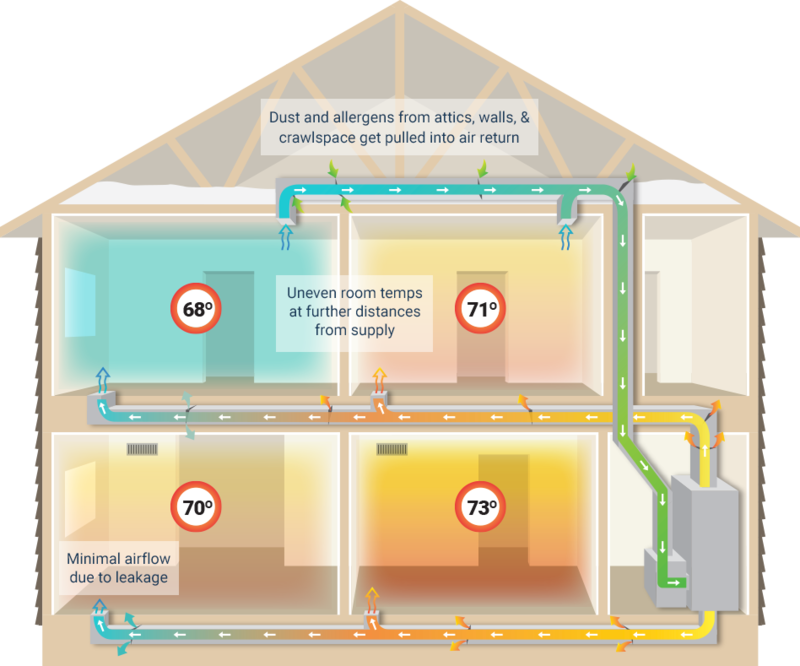 Giving you a home with even temperatures in every room, healthier air, and energy savings. Not only do you feel the difference immediately, you’ll see the verified before and after results in a printed certificate.